The Trio For Justice is an awareness raising and fundraising event held each year in January in Huey Tueng Tao Park, Chiang Mai, Thailand. 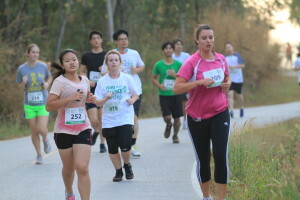 Participants take part in a 3K, 5K, 10K of Half marathon run/walk raising awareness for access to justice issues, clinical legal education and social justice issues. All proceeds from the Trio For Justice go towards funding BABSEACLE and BABSEACLE Foundation’s many projects, and those of their partners, aimed at widening access to justice and supporting the development of justice/clinical legal education in the region. It also helps to create significant awareness and promote dialogue about many of the social justice issues that the two organizations deal with on a daily basis. BABSEACLE and BABSEACLE Foundation partner with civil society, government, businesses, law firms and university partners to improve the quality of legal education throughout the Southeast Asia region. They also conduct various community teaching sessions and outreach programmes to directly assist disenfranchised people to become aware of and protect their rights. See more. The Annual Asia Pro Bono Conference & Workshop brings together academics, law students, lawyers, judiciary, pro bono professionals, policy makers, civil society and non-profit representatives to consider the multifarious ways pro bono initiatives can strengthen access to justice in Southeast Asia and internationally. The conference and workshop is an exciting mix of keynote speeches, panel discussions, poster presentations and interactive workshop sessions. There is always an opportunity for participation, collaboration and dialogue. The session showcase selected, timely and innovative pro bono partnerships and provide a unique space for participants to collaborate in order to improve access to justice for some of the region’s most marginalised communities. See more.